I think the sign means if you “sling mud” at someone or tarnish someone’s name you lose your advantage or your leading position. “Losing ground” could also mean losing stability because of literally losing the dirt under your feet. Nice play on words. To me this sign means that no matter what your circumstances are, humor and laughter can help you last the trials and tribulations of life. This entry was tagged church, dirt, ground, humor, laughs, laughter, postaday, signs. Bookmark the permalink. 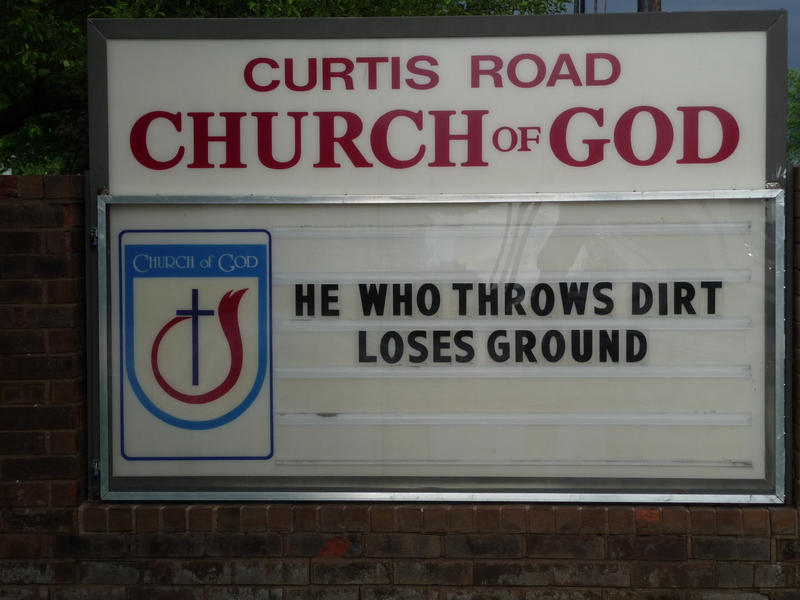 Looks like somebody at church of god had a good sense of humor! Yes I agree. Humor and laughter are the most underrated tools in our society and they help to maintain a balance in our lives. I agree it is a short and sweet message and a good virtue to inculcate. Thanks Elaine. 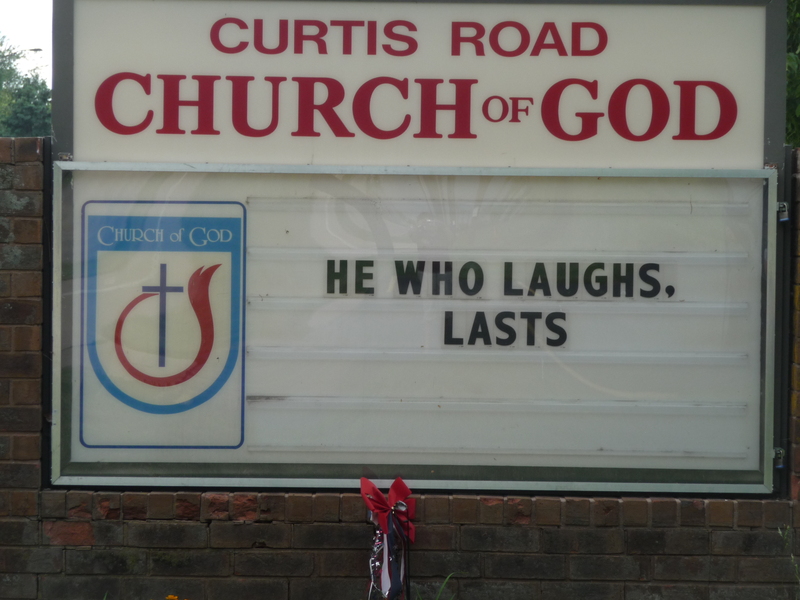 I agree the person/pastor who is responsible for putting these signs at the local church has a great sense of humor. There is something funny and inspiring every week on their board. I enjoyed your reading journey and wish you the very best!